Staff Selection Commission has started to release the region wise MTS admit card, exam updates for Non-Technical Exam 2016-17. Region wise SSC MTS 2017 Hall Tickets SSC to conduct MTS Exam on various dates in April, May, June 2017. Kindly download your admit card within minimum attempts. The Online system of Staff Selection Commission may block your IP for multiple wrong tries so check the instructions & details properly. Candidates need to provide their roll number or registration no (application ID) in given fields. 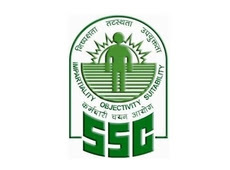 Download your admit card for SSC MTS Exam using the following informative links.